The TRADE > News > Asset Classes > Derivatives > Derivatives collateral management: Entering the industrial age? Aite Group's Virginie O'Shea takes a look at how the industry can automate its collateral management functions to cope with a new era of regulation. Global OTC derivatives market structure change stemming from the September 2009 G20 agreement has significantly altered the collateral management landscape over the last couple of years. Beginning with the clearing implementation of the Dodd-Frank Act in 2013 and the subsequent rollout of similar reforms in Europe and Asia, firms have been forced to re-evaluate their support of derivatives margining activities and the collateral life cycle overall. The buy-side has been a little slower to respond to regulatory change, but all market participants active in the global derivatives markets have witnessed a shift to clearing and an increased prioritisation of the margining and collateral management function as a whole. A recent Aite Group study, commissioned by Euroclear and the Depository Trust & Clearing Corporation’s (DTCC) joint venture GlobalCollateral and based on interviews with respondents from 34 firms, indicates that the primary challenge for sell-side firms is the ability to move collateral around the globe to meet collateral requirements or calls in specific countries. The labor-intensive nature of the collateral management process is the biggest challenge for buy-side respondent firms due to the lack of internal and external automation. A third of buy-side respondent firms are also concerned about the potentially negative impact of Basel III on the cost and availability of collateral and clearing services. Regulatory implementation thus far has been of greatest impact to firms’ operations and technology teams because of the high level of process and technology system changes related to moving OTC derivatives onto a CCP and reporting these trades to a trade repository. More than half of firms have been focused on adapting to significant process changes, though less than half have made significant technology investments, which likely reflects the high level of manual processes that dominate the sector. Just under a third of buy-side firms feel they have yet to be significantly impacted by derivatives regulations, but many are concerned that EMIR will more heavily impact them than will Dodd-Frank because of EMIR’s wider scope. Only two respondent firms indicate they have opted to clear a significant percentage of instruments that are not mandatory to clear, whereas the rest are clearing only some of those instruments. The benefits cited by those clearing non-mandatory instruments include netting and offset opportunities, which reduces the amount of collateral that must be posted at a CCP. A Tier-1 asset manager respondent that currently clears more than 70% of its non-mandatory instruments indicates that the firm’s decision was based on its major institutional clients’ perception of clearing these instruments as compliance and risk friendly. The move to a CCP increases the frequency with which firms must pledge collateral, moving from a monthly or weekly cycle to a more intraday environment, and increases fees overall, as firms must take into account processing charges and default fund contributions. It also adds the requirement to post initial margin, whereas accounts previously only had to post a daily mark-to-market collateral (variation margin). Clearing brokers and CCPs need systems capable of running margin calculations and providing margin statements simultaneously for the high number of clients involved in some block trades. Segregation requirements for the holding of collateral at the CCP also decrease collateral velocity, limiting the type of collateral that is freely available to use elsewhere. Looking at the internal approach to collateral management and in spite a legacy siloed approach to the function, the majority of respondents have some degree of global centralisation in place at the operational level. This does not mean, however, that they have a single technology platform for managing collateral across their business lines. Some firms are regionally structured to take into account time zone differences, and even those firms that have centralised teams have in-country support for clients and business units at the local level. The benefit of a centralised approach is that firms are better able to track collateral inventory across the enterprise. 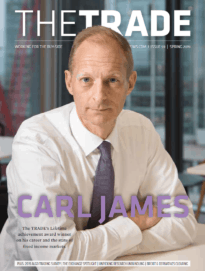 A Tier-1 asset manager that centralised its function a decade ago indicates that it has since been able to see the location of every collateral asset, including cash in transit, and to centrally manage all margin calls in one place. Reform of the OTC derivatives markets is not only influencing firms’ internal approach to collateral management, it is also leading many to consider the services that should be provided externally. For a number of market participants, the investment and effort required to update their collateral management technology environments and current operational workflows is too substantial and too painful to even contemplate. As such, there is appetite in the market for outsourcing and managed services in certain areas. Respondents would like to see centrally provided solutions for several different elements of the collateral management life cycle, the most commonly cited of which is an offering to facilitate the movement of collateral assets (47%). Using existing infrastructure, many firms struggle to move collateral assets between siloed pools in a timely and efficient manner, resulting in both an increase in cost and operational risk. This problem will be exacerbated as more jurisdictions enforce OTC derivatives regulation and as firms are compelled to manage collateral assets more actively across regions. 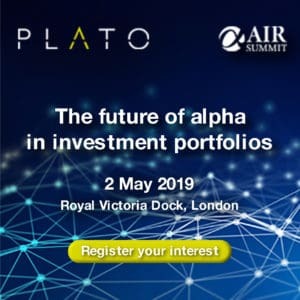 As such, a number of market participants believe that market infrastructures should provide a platform for the movement of collateral assets, thus reducing the connectivity costs that arise in a decentralised environment. The challenge a central services provider for collateral management faces is that such a service needs to be not only operationally efficient but also cost-efficient. One Tier-1 asset manager respondent notes that the key to achieving this is to be agnostic about how the service receives data, as firms do not want to be forced to use additional vendor middleware or services. On the other hand, widespread adoption of a messaging platform, such as AcadiaSoft MarginSphere, could increase automation and reduce reliance on the extract, transform, and load capabilities of the central service provider. To this end, 41% of respondents would like to see margin messaging communication handled centrally, particularly as the volume of margin calls increases with the move of more OTC derivatives onto a central clearing model.